Sometimes a Bank Deposit will get created with an incorrect Deposit Date or maybe the Deposit included the wrong Receipts. If this has happened to you then you've come to the right place! The Bank Deposit must not have been either Posted or Reconciled. 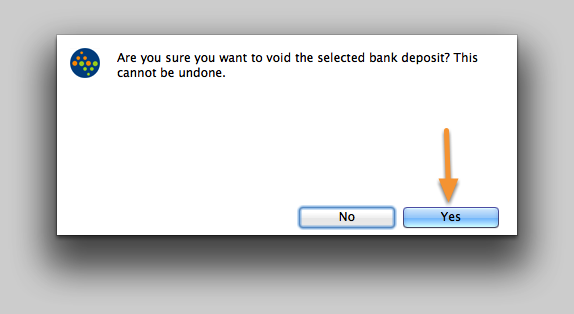 You must be running v2012.0.2.7 or later in order to Void an Unposted Bank Deposit. 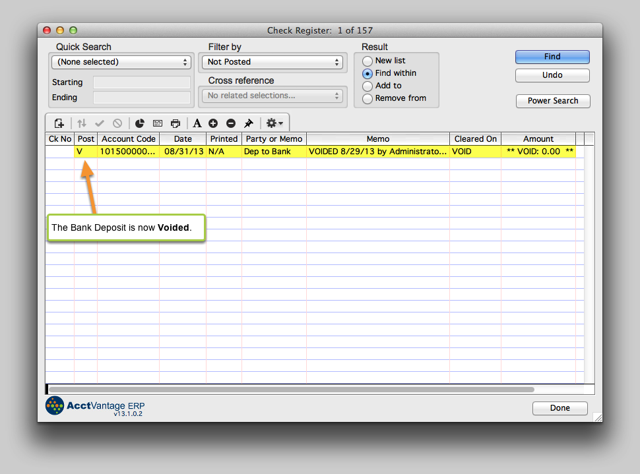 Highlight the Not Posted (NP) Bank Deposit. Open the Action Menu and select Void check. 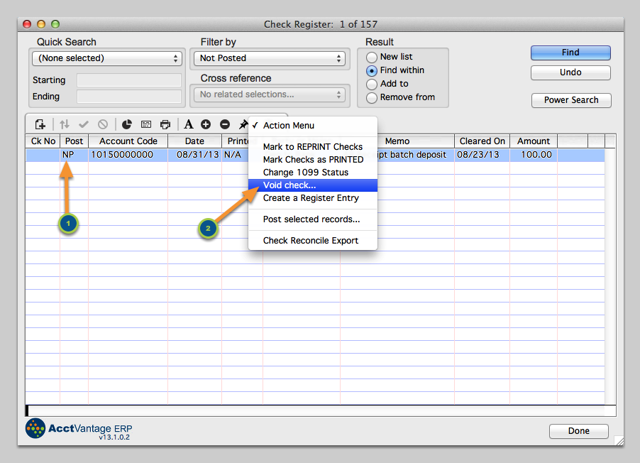 Now that the Bank Deposit is voided you can recreate it with the correct information.